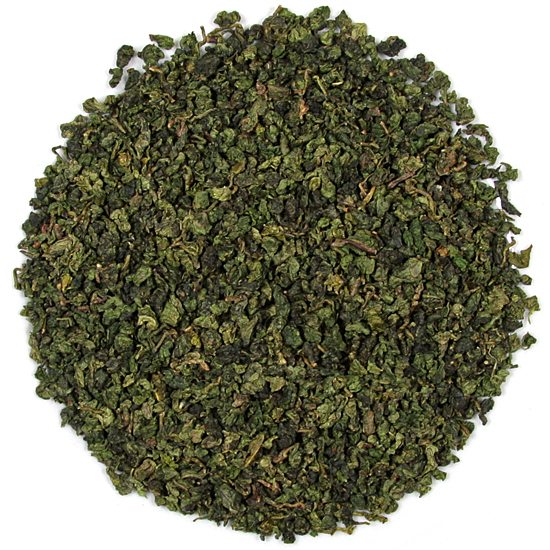 NOTE: It is also delicious to steep a larger measure for a longer time (as much as 7-8 grams for 4 minutes) and this oolong is delicious served cool or iced. Steep the leaf as many times as you can, then mix the steepings all together in a pitcher and have it on hand for instant refreshment! The rinse water is not drunk – its purpose is to help the tea leavesprepare to open during steeping. The low mountains of the Muzha tea plantation area are located in the Maokong district just a short distance from southeast Taipei city. Tea has been grown here since immigrants from Fujian Province, China, first brought a varied assortment of tea bushes to this area for cultivation in the 19th century. 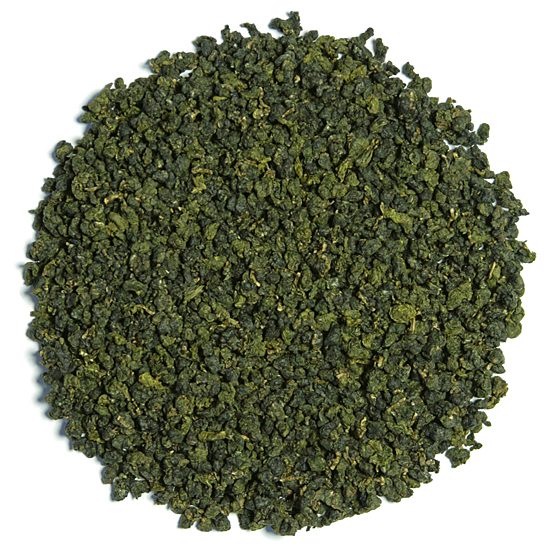 The idea was to begin production of familiar Chinese oolong in Taiwan. While these tea bushes all flourished, the mix of different cultivars used most for this Taiwan oolong production had a flavor that was not exactly what was desired for a Taiwan Tieguanyin. It was not until the early 20th century that authentic Tieguanyin tea bushes of the high quality Hongxin Waiwei Tao variety were brought from their home in Anxi, Fujian, to the Muzha region. This change in both the mix of tea bush cultivars used (or keeping the Tieguanyin separate as a varietal) brought the taste that had been missing in the newly planted Taiwan tea back to one that showed significant classic Tieguanyin taste in its flavor. But still, Taiwanese Tieguanyin differs in taste from its Chinese counterpart. 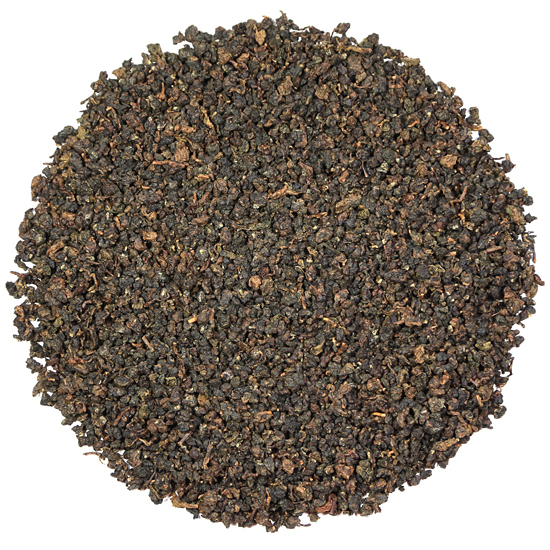 While both teas are shaped in the semiball-rolled style, Anxi Tieguanyins are green in appearance and are un-roasted (or only lightly roasted). Modern-style Mainland China semiball-rolled oolongs generally have a very fresh, floral aroma and a vibrant, buttery taste in the cup. The traditional-style oolongs from Mainland China have a more complex flavor profile and the oxidation and roasting are quite a bit more prominent in the finished leaf. This latter style of oolong manufacture is where the Muzha Tieguanyin oolong falls. 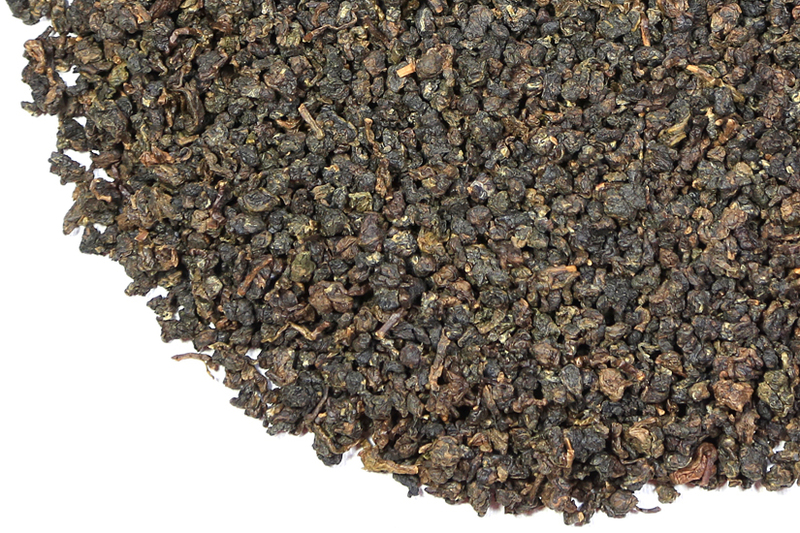 Roasted Tieguanyin has a smooth, clean flavor reminiscent of honey mixed with a touch of sweet melon & roasted nuts. The aroma of roasted tea is complex and compelling – think a blend of exotic roasted spices and caramelized root vegetables. Taiwan Tieginuanyin possesses a unique degree of richness in the cup that is the result of the slow-growing nature of the Tieguanyin tea bushes in the Muzha region and slow oxidation in the tea factory. Both of these factors bring a complexity of warm, ripe fruity tastes and aroma to this tea. The high mineral content soil in Muzha area is similar to that in the Anxi region, which allows the tea bushes to grow long roots deep into the ground where the roots pick up beneficial iron, zinc and calcium and carry it throughout the plants. Our 2018 Spring pluck Tieguanyin tea represents the rich complexity and nuance of flavor that this tea is known for, while expressing a brightness that is rare in a Tieguanyin. Roasted oolongs are highly favored in Taiwan, because roasting removes what many in Taiwan feel is a harsh green taste that can distract the palate in green-style, un-roasted semiball-rolled tea. Instead, roasting caramelizes the flavors so the finished tea acquires a mature style that is a bridge between the youthful floral nature of spring-made teas and the rich maturity of teas made in the fall. Our Muzha oolong is planted in an area that is full of leafhoppers, which eliminates the need for pesticides but does sometimes leave holes in or bite-marks on the leaf. 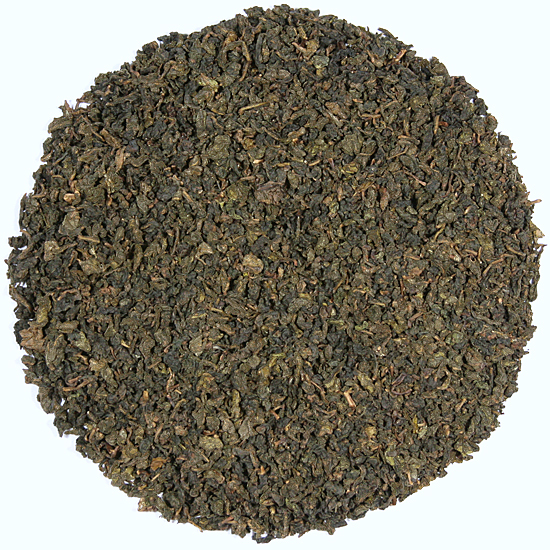 Another interesting facet of this leaf is that after steeping the leaf loses all of its brown color and takes on a deep shade of forest green.